MADRID (AP) — Five European Union countries struck a deal Tuesday to distribute between them 58 migrants rescued in the Mediterranean Sea and left stranded by continuing disagreements in the bloc over how to cope with the influx of people trying to enter illegally from North Africa. A Spanish official who wasn’t authorized to be named in media reports said Spain, France, Portugal, Germany and Malta agreed to take the migrants, who were rescued by charities off Libya last week but then stuck on a private rescue ship because it couldn’t find a country which would let it dock. Because the ship had its Panama registration flag yanked earlier, it will sail to its home port in Marseille, France, to “rectify its stateless position” after the migrants disembark, the Maltese government said in a statement. Humanitarian groups SOS Mediterranee and Doctors Without Borders operate Aquarius 2. It is the sole private rescue boat operating near the deadly central Mediterranean human trafficking route, and Panama’s decision to remove its registration threatened to put it out of action. Panama’s maritime authority said it made the move after Italy’s anti-migrant leaders complained the boat’s captain failed to follow orders. It said Italy argues the captain of Aquarius 2 defied instructions to return migrants to Libya that it had rescued from unseaworthy vessels launched by Libyan-based traffickers. But the humanitarian groups say violence-wracked Libya doesn’t meet international standards for safe harbor. 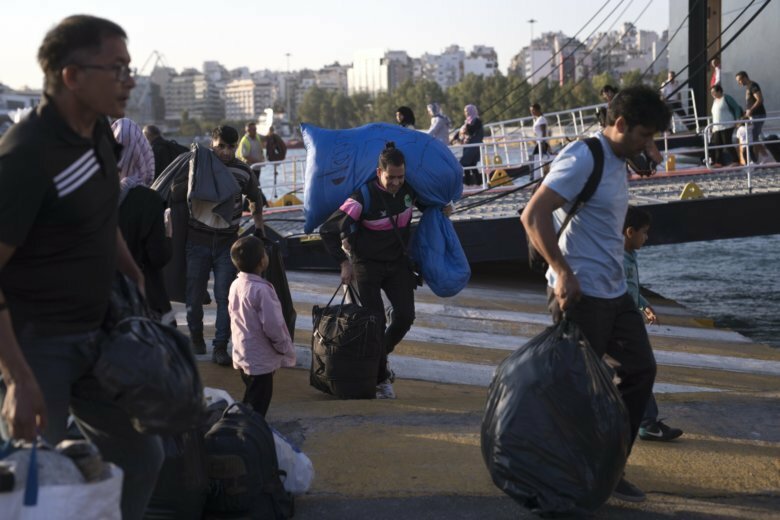 Meanwhile, about 400 asylum-seekers who had been held in the severely overcrowded Moria migrant camp on the Greek island of Lesbos arrived Tuesday in Greece’s main port of Piraeus to be transferred to other camps and residences on the mainland. Barry Hatton reported from Lisbon, Portugal. Frances D’Emilio in Rome, and Sylvie Corbet in Paris, contributed to this report.